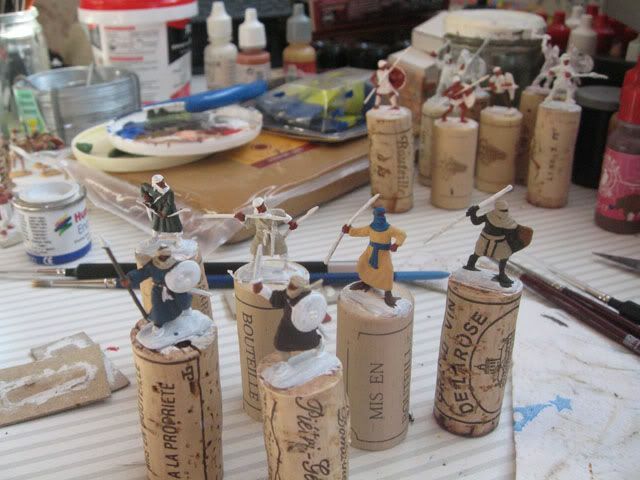 I received a test sprue of your Almoravid warriors on last Tuesday, and I began to paint yesterday night. I have just finished the first one this morning, and I wished to show the result. 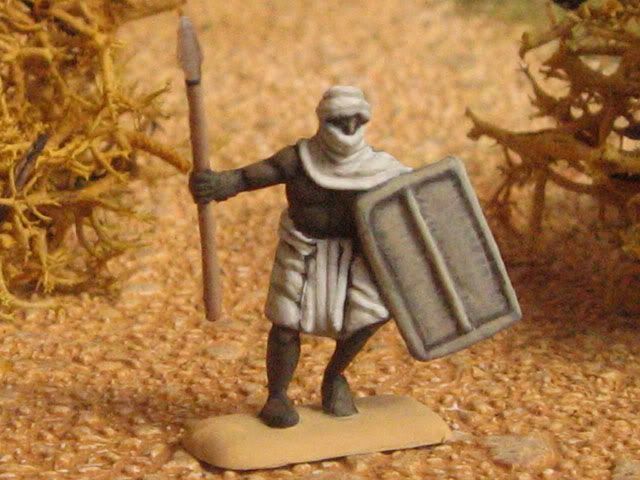 The sculptor's job is great and the subject is really interesting (they are the first Almoravid in 1/72). I hope you like it. 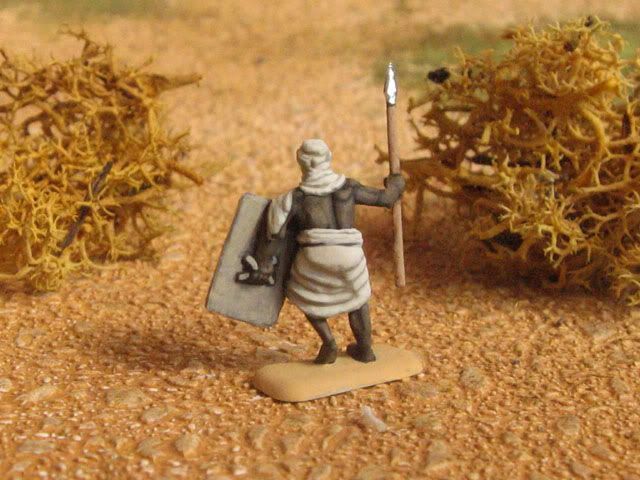 Subsaharian African warrior: this man comes from the southern part of the almoravid area (maybe Senegal). 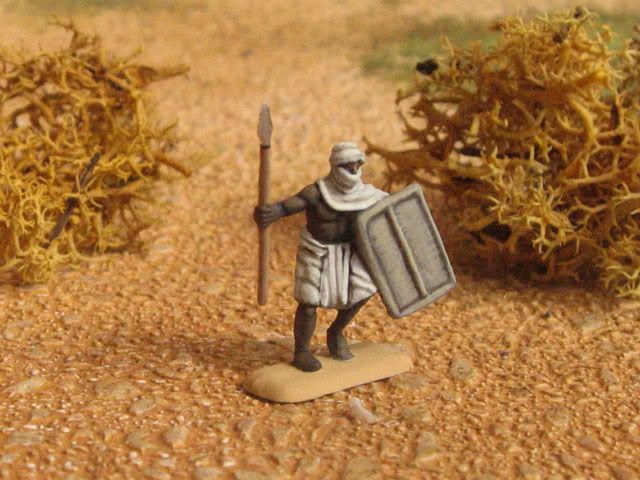 His shield is covered with animal skin. The reinforcements are coming soon !